Infamous Ukrainian ballet dancer and ex-Royal Ballet principal Sergei Polunin who has been branded the ‘bad boy of ballet’ for famously walking out of the company after becoming disillusioned with the ballet world, is back with his new Project Satori coming to London Coliseum from 5-10 December. 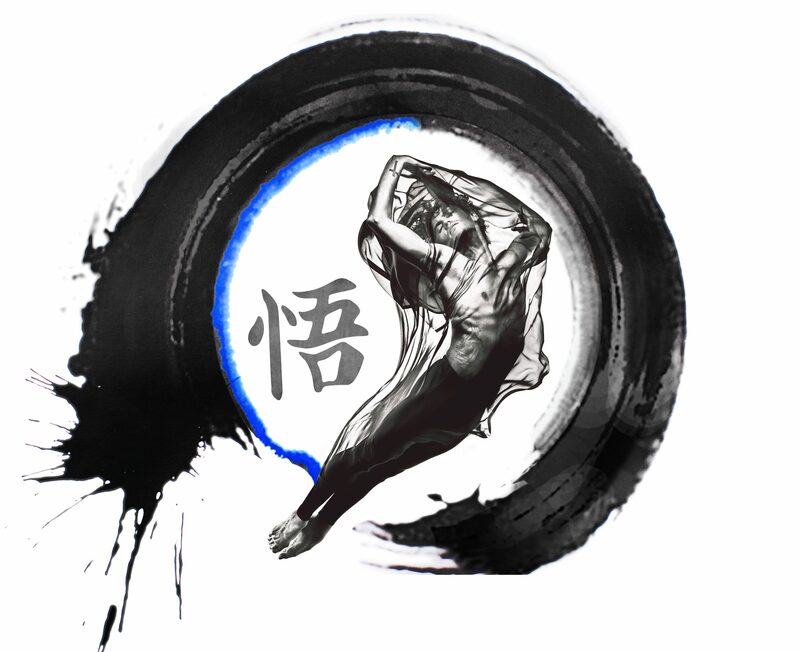 Polunin has created an exciting mixed programme of new and revived works that showcases some of the most famous and inspirational dancers of our time, including Natalia Osipova, Valentino Zucchetti & Akane Takada from The Royal Ballet, Yaoqian Shang from Birmingham Royal Ballet, Laurretta Summerscales & Yonah Acosta from Bayerisches Staatsballett, Alexey Lyubimov from The Stanislavsky and Nemirovich-Danchenko Moscow Academic Music Theatre, Evgenia Savarskaya from Bolshoi Ballet, Jason Reilly & Elisa Badenes from Stuttgart Ballet, Alexandre Riabko & Silvia Azzoni from Hamburg Ballet and The Royal Ballet School Junior Associate Thomas Waddington. Royal Ballet First Artist Valentino Zucchetti has been working with Polunin to bring Satori to London. Zucchetti who cast dancers for two of the pieces and is dancing in one, shares his experience of working with Polunin. How did you get involved with Sergei Polunin’s project “Satori”? Sergei and I met at the Royal Ballet School, we were in the same year, and that’s where our friendship came about and that’s when everything started. I’ve always been known as a ‘bun head’, because I follow ballet very closely, I’ve read every ballet book in circulation, I’ve always been very inquisitive and curious about every aspect of ballet and I have a very impressive video archive of ballets. And it’s still going on, it’s still expanding to this day! So if Sergei ever had a question or needed help regarding a ballet he knew he could always ask me. Tell us about your role as casting director…. As casting director I helped recruit most of the dancers, I also help with the logistics, arranging ballet studios for rehearsals, helping to fundraise and grow the project. There are so many aspects of producing a show that are technical and logistical. But I’m the kind of person that is naturally very organised and efficient. When I wake up in the morning my first five minutes are dedicated to replying to Project Polunin emails, which is normally at least 10 to 15. That’s what I do when I’m having my breakfast and it’s absolutely no problem for me. I’m used to managing lots of elements on top of all my artistic engagements, dancing, choreographing and so on. What was the vision of mixing different dancers from different companies together? I’m very proud of the dancers we’ve engaged because they’re all really great dancers and they all have very special and unique qualities. Sergei decided to bring ‘Scriabiniana’ to London, which had never been performed in the West, as it’s a very Soviet-style ballet. Actually, it hasn’t been performed in over 30 years! We wanted to bring Scriabiniana to a new audience, however we were limited by the Goleizovski Foundation in terms of choreography and costumes, so we couldn’t change any steps, or any costumes. So we thought what we could do is to bring the best performers of today who could refresh the choreography with their own individual styles. We are twelve dancers performers in Scriabiniana, and we’ve never performed all together at the same time. It’s almost like a series of pas de deux, pas de quatre and variations. So it was very important to have each individual dancer and style feature in each piece. When it’s presented by Russian dancers the style of the choreography is very Russian, and that will be partly preserved thanks to the Foundation. However, because the dancers are of different styles and from different companies, we are hoping to refresh the choreography. Sergei has collaborated with different types of artists for the programme, is this an artistic vision that you share? Yes, definitely! Sergei wants to create cross-collaboration between different artists, but he’s not saying ‘OK, let’s just collaborate with classical music composers and theatre producers’. For example Gabriel Marcel del Vecchio that he’s working with, has worked previously with Cirque Du Soleil, and so there will be elements of that. And the composer, Lorenz Dangel, makes film compositions so it’s a completely different way of composing. Sergei likes to bring different art forms together. I definitely support the vision! Do you think audiences are looking for this new experimentation? When audiences come to watch an evening with Sergei made by Sergei they’re probably expecting something new, and a new collaboration. I feel audiences nowadays are hungry for new material, new collaborations and although we’re very happy to live in our traditional classical ballet – that is going to stay and has to stay – there is definitely a hunger for more new work! You can see Sergei Polunin’s Satori new mixed programme in London for 5 days, get your tickets now!